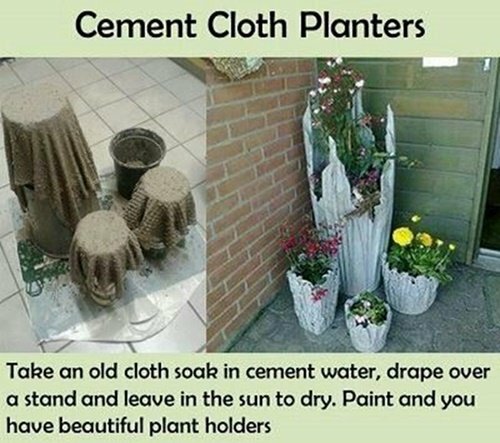 Old cloth + cement = Draped Hypertufa Planters!! Can you believe how easy it can be? To make this draping pot, buy a bag of powdered cement, mix the amount you want to use – aprox 1:4 – to get the consistency of onion ring batter. Soak cloth until saturated Hang over the shape you want, let dry in the sun. You may want to precut drain holes in the bottom if you are using it as a planter. For extra protection and fun colors – apply a cement sealer (image via:howtoinstructions). 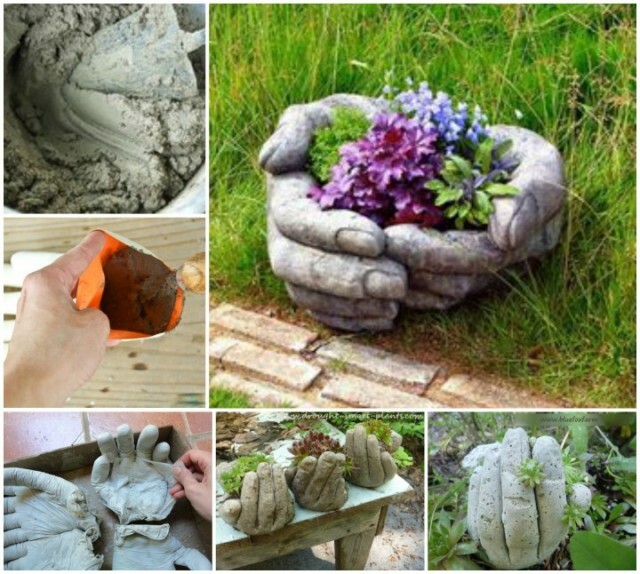 Here is the video tutorial from thehypertufagardener: Making the Draped Hypertufa Planter!